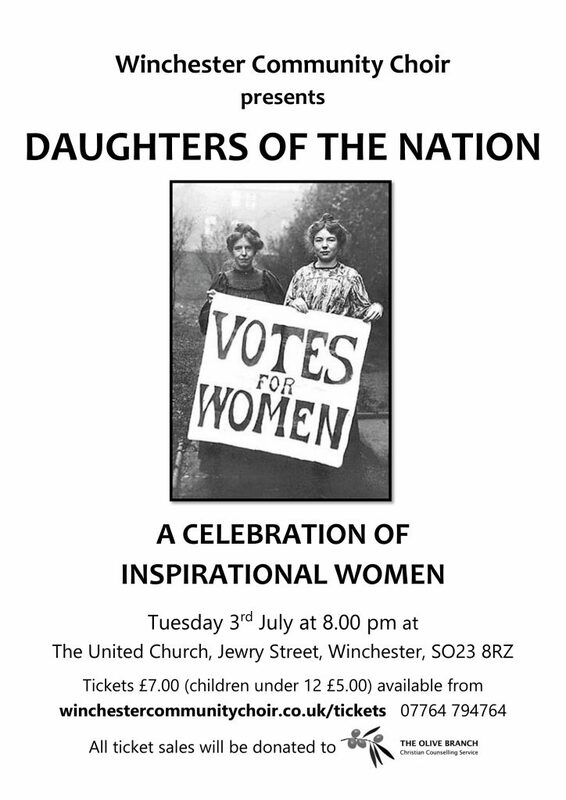 Daughters of the Nation, a celebration of inspirational women, takes place on Tuesday 3rd July at the United Church, Jewry Street, Winchester. More details are given on the poster below. If you would like to download a copy of the poster to print, please double click on the image.